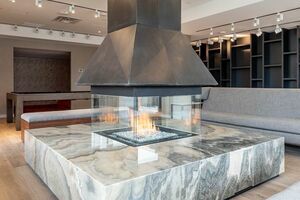 1004 1650 Granville Street, Halifax (MLS® 201902517): The suspense is nearly over so be one of the first to view, THE ROY, designed to be the landmark luxury condominium residence in Halifax. Downtowns most eloquent lifestyle awaits you at THE ROY, where international style lives and you will own spectacular views of the harbor and evolving urban landscape. This contemporary, 22-storey residence makes a bold, yet elegant architectural statement in such an extraordinary location at the epicentre of Halifax’s downtown Heritage District. 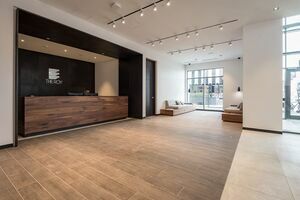 This iconic building will distinguish you, as a sophisticated purchaser, with the opportunity for unique ownership in a modern, ergonomically efficient suite with unique design elements and luxury finishes rarely seen before. Live where you live and step out your door to the stunning Halifax harbourwalk and enjoy all the city has to offer with the best of restaurants, culture, shopping and entertainment literally, at your doorstop. 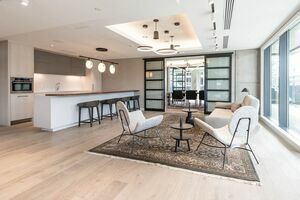 THE ROY’s generous indoor and outdoor amenity spaces span the 8th floor designed with a holistic approach geared to facilitate modern living and provide residents with exceptional, refined living. Lounge by the contemporary rooftop fireplace, swim laps in the serene pool, or unwind with a relaxing sauna or steam. 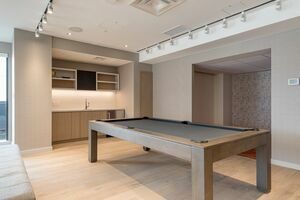 Wellness suites and modern fitness facilities provide access to a healthy lifestyle, while the theatre and entertainment rooms can be reserved for your exclusive use. Think of the amenity spaces as your own private club. THE ROY will be distinguished by its exceptionally beautiful building materials, quality construction, advanced technology and unparalleled views of the cityscape. From the Citadel Suite the best of Halifax is on display as old and new blend seamlessly. Watch the city's heart beat day or night. Views of Grand Parade, City Hall or the Halifax Convention Centre are sure to impress.